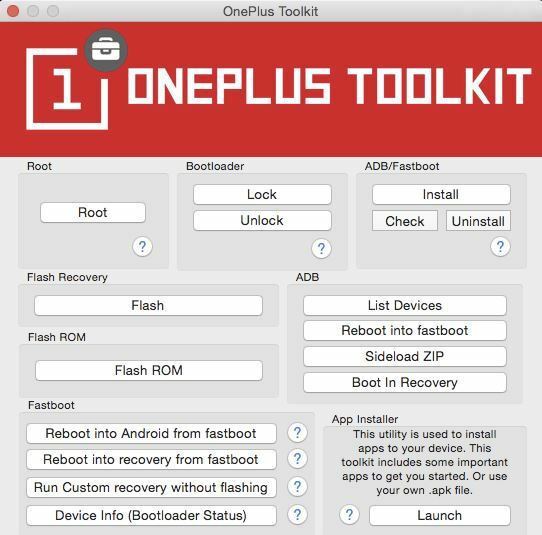 There are so many Oneplus toolkit are available for the Windows PC users like Wugfresh toolkit, OnePlusRecovery Tool and OnePlus One Toolkit But for MAC users there is none, now here is the good news, Oneplus forum member BigBlueBanana released the new Oneplus toolkit for the MAC users. 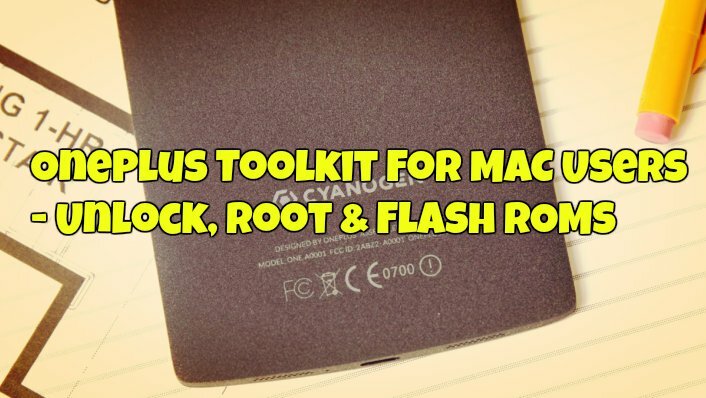 Which allows you to root and unroot the phone, unlock the bootloader, Flash ROMS, Sideload zip file and lots more. One and only free one toolkit for MAC users. The tool is pretty simple to use and takes a few minutes to complete the tasks. Not only this, the developer claims that the tool is perfectly fitted for the OnePlus Two also. And he is updating the tool time to time to get more features, Now MAC users can also use the free toolkit on their system to do lots of task on the One plus one. To download the toolkit on your MAC visit any of these links (SourceForge or GitHub) and install the same on your MAC. With this option you can easily unlock the bootloader of you phone, Root your device with a single click, Install TWRP or CWM recovery without running ADB command manually and flash the ROM easily. All you need is run the app and select the options. SIMPLE. If you are the MAC user with Oneplus android device, then you have to must try this application on your MAC and test the features of it. I would love this…..if I could get it to work. I’ve downloaded it. UI is nice. Root button does nothing. Unlock Bootloader has prompts, but does nothing when confirm continue. Flash Custom Recovery puts One in fastboot, but does nothing else. Clearly I’m missing something (?). And yes, I have enable USB debugging. Using OnePlus with CM 12.1 and Mac with Yosemite 10.10.5. One Plus 2, brand new. The application launches, but it will not list devices… install fo ADB/Fastboot seems to work. None of the other buttons appear to work. I can see the device from the command prompt and Android file transfer. ?? ‘Looks like a fantastic idea though! Hope the bugs get worked out.